Our Actuaries Around the World series visits Morocco this month. 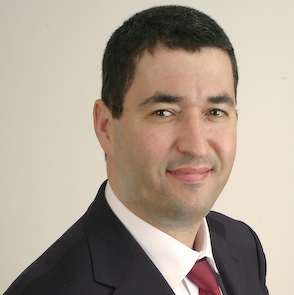 Mohamed Amrani is a member of the Executive Committee of BMCI Bank (the subsidiary of BNP Paribas in Morocco) and currently serves as Chief Executive Officer of BMCI Asset Management, having previously held the position of Chief Executive Officer at BMCI Bourse (the stock broker group in Morocco). In parallel, he has been member of the board of Casablanca Stock Exchange from 1995 to 2016 and its Vice-Chair from 2001 to 2003. He also holds a PhD in Applied Mathematics from the University of Lorraine (Metz), France. He has served as the President of the Moroccan Association of Actuaries since 2015, and is currently Vice-Chair of the IAA Africa Subcommittee. Actex Learning (AL): How many practicing actuaries do you have in Morocco? Mohamed Amrani (MA): The Moroccan Association of Actuaries (Associate Marocaine des Actuaries, or AMA) is composed of 125 actuaries, of whom 25 are qualified members. (MA): The word for actuary in the Arabic language is actuwari. The French language is mainly used in business in Morocco, and the French word for actuary is actuaire. (MA): Actuarial science was first introduced in Morocco in 1974 with the launch of training in the Actuarial field at INSEA (National Institute of Statistics and Applied Economics) in Rabat, albeit on a temporary basis. After the creation of the AMA in 1998, the INSEA’s Actuarial program was definitively established. (MA): What I love about being in the actuarial profession is the opportunity to transcend many fields, many sectors while understanding the global mechanisms and their connections. Nowadays, business has become so complex that actuaries are required to see the entire picture and be able to find the appropriate solution for each issue while taking all the outcomes into consideration. The Actuarial profession distinguishes itself through its ability to rapidly mutate and adapt to ever-changing markets. (MA): I would suggest that young Moroccans interested in the Actuarial profession open themselves to the world by learning international languages, studying international techniques and practices as well as connecting and sharing with actuaries around the globe. (MA): The Moroccan Association of Actuaries (AMA) was created in 1998 on the initiative of a small group of actuaries. The opening period was characterized by the establishment of solid foundations and an ambitious, enduring vision. In its first year, AMA organized its first professional event dedicated to Bancassurance (the distribution of insurance products via banking channels), which marked the beginning of its advocacy for the Moroccan Actuarial profession. It was the first time in Morocco that a national debate on Bancassurance had taken place. This subject was widely covered by the media and led the way to the establishment of a legal framework for Bancassurance. In 2003, AMA organized the First International Professional Meeting of Leaders of the Actuarial Profession in French-speaking Africa with the support of the International Actuarial Association (IAA). After that, AMA joined IAA as an associate member, and in 2008 it became a full member. Looking ahead, AMA is hosting the IAA’s 5th African Actuarial Congress that takes place from March 15th to March 16th, 2018 in Casablanca. (MA): Over the coming years, AMA will be taking on many challenges such as the enlargement of both individual and institutional membership, the development of the Actuarial program and the implementation of the new IAA Education Syllabus at INSEA of Rabat, the fine-tuning of AMA’s CPD in line with the international standards, and most importantly the official legal recognition of the Moroccan Actuarial profession. (MA): After 20 years of market activity, it’s hard not to have noticed the successful achievements due to different reforms related to the capital market, at least in terms of international visibility since Morocco has been able to join certain international market indices. In addition, the capital market has been dominated by insurance companies and pension funds as the main investors. Recently, Morocco set its sights on becoming an international financial center, firmly based on a developed capital market. Indeed, Morocco’s financial center provides legislation protecting investors, an attractive business environment, availability of qualified human resources and access to the African market via a range of agreements protecting investors and double taxation treaties. Currently, leading financial institutions, multinational enterprises and professional service providers are already present. Morocco aims to attract international companies and investors by promoting Casablanca as an accessible and appealing point of entry to Africa. Above all, Morocco is politically and economically stable, which presents an opportunity. In this context, the Actuarial profession in Morocco has to contribute to this strategic project because they are working in the core sectors of the capital market. AMA would like to upgrade the level of actuarial expertise in Morocco, but also encourage international actuarial firms to choose Morocco as a gateway to Africa. (MA): AMA members are mainly employed by insurance companies as well as the health and pension sectors. A small percentage of them work in the financial and banking sectors. (MA): Recently, the International Actuarial Association (IAA) set up a new IAA Education Syllabus that is going to address the needs of the future actuary worldwide. In this respect, I believe that what is suggested matches, on the whole, the new needs for the Actuarial profession in Morocco according to today's evolution of the Moroccan financial system. However, the new syllabus has to be adapted depending on the structure and the characteristics of the Moroccan market. Besides, its implementation has to take into consideration not only the international sides, but also the different specific economies (i.e. a market-based system vs a bank-based system). In my opinion, the future actuaries, wherever they are located, will be required to exercise their profession in any country. That's why it could be very useful to emphasize these specifics inside the AMA syllabus. It could also be useful to add some particular subjects to the scope in the future, such as: Marketing, Business Development and Strategy, as actuaries are considered to be technical experts, and unfortunately, in Morocco, are not yet sufficiently concerned by the business side. The new syllabus sets out what the market will expect actuaries to provide in terms of expertise in the future. In today’s competitive world, it seems more important than ever that this expertise be unequivocally strengthened by these subjects. (MA): The only school in Morocco that has an actuarial program recognized by AMA is INSEA of Rabat. To become an associate member of AMA, one needs to hold the Actuarial degree from this Institute or from international universities which are recognized as equivalent to the INSEA degree. Another possibility to join AMA is to have a professional qualification from internationally recognized actuarial associations. (MA): Initially, to become a fully qualified actuary of AMA, an associate member had to have 10 years of professional actuarial experience in the insurance and/or financial sectors which had to be validated by the qualification commission of the Moroccan Association. Today, one is required to have at least 3 years of professional experience and to present a thesis on a practical case study in front of the qualification commission. (MA): Generally, successful actuaries take up executive positions in the insurance sector. However, there are some individual cases of actuaries who succeed in non-traditional positions. (MA): I sincerely take great pleasure in travelling and discovering new countries, cultures and people around the world. To my mind, meeting people on an international level is one of life’s most enriching experiences. (AL): What could people from outside of Morocco do to help the profession grow? (MA): I think that international actuarial associations could leverage their relationships with international organizations like the International Association of Insurance Supervisors (IAIS), the International Social Security Association (ISSA), the International Monetary Fund or the World Bank to advance the Actuarial profession worldwide, and in particular to facilitate recognition of actuarial science as a main axis of economic development. For more information about the Moroccan Association of Actuaries, visit www.ama.ma.